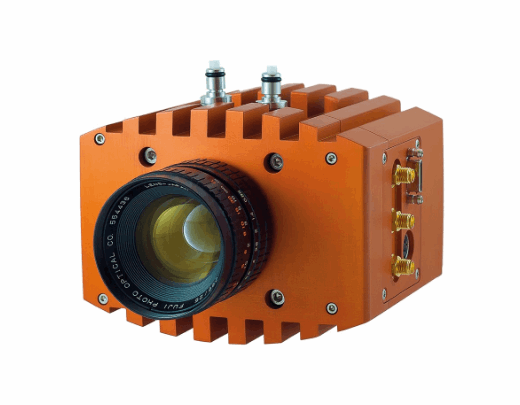 The new Falcon III from Raptor Photonics is a EMCCD – GEN III camera based on e2v’s next generation CCD-351 back-thinned 1″ sensor offering 1 MP resolution with 10 μm square pixels. The Falcon provides outstanding sensitivity and speed through a single output amplifier, and is three times faster than previous generations with excellent linearity and low gain performance. Ideal applications include adaptive optics, astronomy, calcium signaling, fluorescence imaging, spectroscopy, genome sequencing, live cell imaging, and X-ray tomography. The Falcon III sensor features a read noise lower than 0.01e-, and a high EM gain of x5000 in order to view single photon events. The camera can be cooled to -100°C by using Raptor’s long life ruggedized PentaVacTM vacuum technology for the lowest possible background events. The camera is also operates in an ultra-wide bandwidth of 200 nm – 11000 nm for a strong UV and NIR response. For additional features, benefits, and product specifications, download the available datasheet.